Answers to questions that we are commonly asked can be found here. If you cannot find the information you are looking for, please drop us a line with your query and we will do our best to assist. We quote 6-8 weeks for delivery but we can be flexible if the fabrics are in stock. We can discuss timescales when you place your order with us. We take 50% deposit when you order and the balance is payable prior to delivery. Can you help me choose a fabric or colour scheme? Choosing a fabric can be daunting. 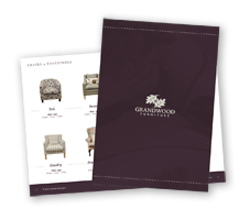 We have over 10,000 fabrics to select from and our friendly, knowledgeable staff are here to help you, with many years experience of interior design. How are your sofas and armchairs made? We have many years experience of manufacturing and supplying sofas to the trade and the public. We use hardwood frames, the load-bearing joints are screwed and dowelled and glued for extra strength and durability. Everything is sourced and manufactured here in the UK. Our West Sussex showroom is open 9:00am – 3:00pm Mondays to Fridays and from 9:30am – 4:30pm on Saturdays. We are closed on Sundays.